I Guess I’m a Sir Now? Almost 30 years ago, David Byrne (of Talking Heads fame) founded a record label “to turn people onto stuff [he] liked.” Because he’s David Byrne, and because he’s eminently cooler than you or me, the stuff he liked was Brazilian pop music. In January of ‘89 Byrne released his first compilation, Brazil Classics 1: Beleza Tropical. Three other Brazil Classics followed. 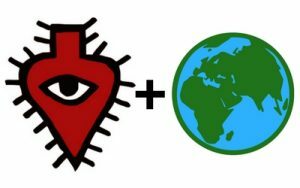 From there, Luaka Bop–a record label name Byrne nicked off some tea packaging– and along with its eyeballed, “rather obscure Masonic”opens a new window logo started to jump all over the globe. Cuba, England, India, West Africa, Japan, etc. I wish I could claim to be a lifetime follower of Luaka Bop, but the truth is I’m a new convert. I hadn’t heard of the label until I stumbled upon the fifth of its World Psychedelic Classics series, Who Is William Onyeabor?opens a new window a year or two back. WiWO? is a compilation of hits(?) from one of Nigeria’s most enigmatic musiciansopens a new window. Throughout the late seventies and eighties, Onyeabor was “Nigeria’s answer to synth-pop and New Wave.” He self recorded, pressed, and printed nine synth propelled dance electronic funk records between 1977-1985 and then disappeared. He converted to Christianity, stopped talking about his music, opened a semolina mill, and lived in a woodland palace as the honorific high chief of his community until he passed away this Januaryopens a new window. From start to finish WiWO? provides a smorgasbord of foot tapping, head bopping, booty bumping tunes. The album is pleasantly contradictory throughout. Firmly rooted in a specific time and place yet managing to transcend both. Paranoid and cheerful. Spiritual yet worldly. Even though its nine tracks come in at a whopping 73 minutes, when album closer “Fantastic Man”—recently popularized thanks to Appleopens a new window—wraps up, you’re left wanting more. Luckily, Luaka Bop has you covered. Nine times over in fact. A year after they released WiWO?, LB released Onyeabor’s entire recorded oeuvre in the nine disc William Onyeabor box setopens a new window. And while the albums are short—17 minutes at the shortest, 37 at the lengthiest—they ought to occupy you for the foreseeable future. After that, if you’re interested in what Onyeabor’s contemporaries sounded like, give World Psychedelic Classics, Vol 3: Love's A Real Thingopens a new window a try. Published in 2004, this grab bag of 70’s West African music is another delight. Going back to William Onyeabor for a minute, it was his inclusion in this collection that sent Luaka Bop on what ended up being a years long quest to get the rights to his discography in order to publish WiWO? and the box set. But it’s not just Onyeabor that shines here. Each of the 12 songs completely transport you to an era and continent that odds are unlike anything you’ve experienced before (unless you lived in 70’s Africa, I guess). Funk, soul, acid rock, Cuban rumba, Latin percussion, and more elements combine with various local African sounds to expand your definition of transatlantic on this eminently listenable record. Why stop there? If you’re hankering for more world music after that, you’ve still got World Psychedelic Classics volumes 1, 2, and 4 ahead of you. They cover Brazilian folk psychedelics Os Mutantes, America’s own Shuggie Otis, and Brazilian genre bender Tim Maia. And that’s just one of Luaka Bop’s many series. I guess what I’m trying to say is, there’s an entire world out there, and I’m glad the library (and Luaka Bop) does the legwork when it comes to introducing me to new music. So what are ya waiting for? Come check out our world music collectionopens a new window already! -Ian Stepp is an Information Services Assistant at Lawrence Public Library.